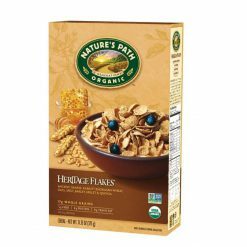 Organic flakes, made from ancient grains. A special blend of ancient grains, including wheat, barley, quinoa and spelt, these flakes are lightly sweetened with honey and evaporated cane juice. They also contains 6 grams of fibre.